New Jersey Lab Rescue View other Labs for adoption. 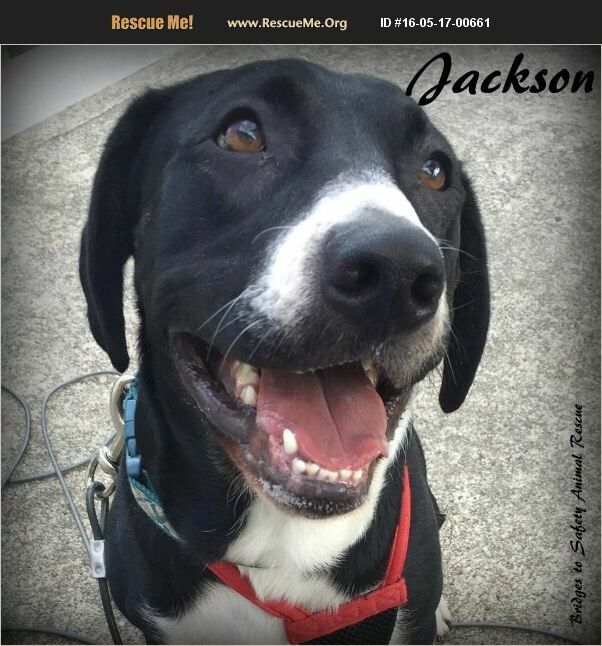 Jackson is an 85-pound 4-year old neutered male Labrador Retriever mix. He is up-to-date with vaccines. Jackson doesn't understand that he is a big boy and loves to give everyone lots of hugs and sloppy kisses! He requires a home that does not have any children younger than a teenager. Jackson treasures every second he is able to spend with his humans and jumps for joy when they return home from work or an outing that he didn't go along on. He absolutely LOVES going running on the beach and makes sure he gets all his cardio work in by running through the ocean waves, LOL!!! Jackson is a little out of shape and does get dehydrated easily, so taking water & a collapsible bowl on all outings is a must. Jackson has lots of energy, so he needs a large yard to be able to run around in and an active family that will take him out on adventures several days a week. He is completely house trained and VERY well mannered in the home (but if you leave food out anywhere, he thinks it's a treat for him and will grab it and run away, LOL!). Jackson does want to be the only furry male of any kind in the home but loves all furry female friends. He travels well in the car and will simply just lay down in the backseat for the journey. Jackson is currently living with his foster and goes to work with her regularly. If I can tell you anything else about our wonderful 'Jack', please let me know! 1. Navigate to our online Adoption Application at https://bridges2safety.wufoo.com/forms/bridges-to-safety-adoption-application/ . 2. If you problems with the form or have questions, call Ellen at (732) 859-8915 or email us at bridgesdogsmail@gmail.com.